To say Istanbul is massive would be an understatement. The city is spread across two continents and has more than 15 million people. 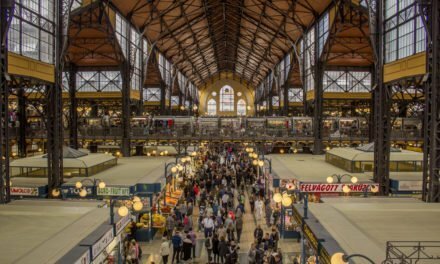 There are tons of unique neighborhoods to explore, but it can be hard to decide exactly which neighborhoods to visit in Istanbul during your stay. 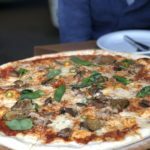 This brief guide will cover some of my favorite neighborhoods to visit in Istanbul and share some tips on what to do, eat, and drink when you go! Taksim is located in the larger neighborhood of Beyoğlu. 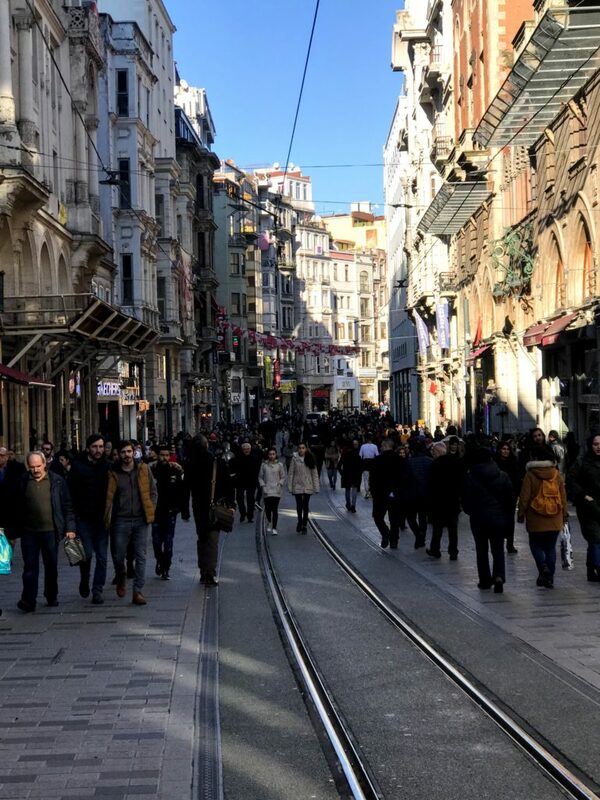 This area is most well known for Istiklal Street, a 1.4 km long (mostly) pedestrian avenue lined with shops and restaurants. There are also plenty of bars and clubs around it for anyone looking for a late night. Istiklal Street is always, always, always, crowded. While it’s worth seeing, I prefer to escape to the cozier side streets that wind around it. When you visit Taksim, don’t miss the rice, beans, and meat at the simple yet oh-so-delicious Tarihi Kalkanoglu Pilavcisi restaurant. 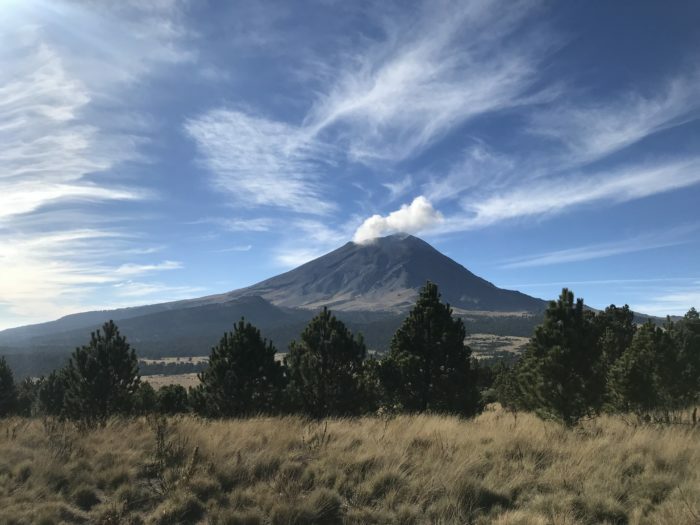 I live here and I really recommend the area because it’s so central. Click here to book your stay in Taksim! 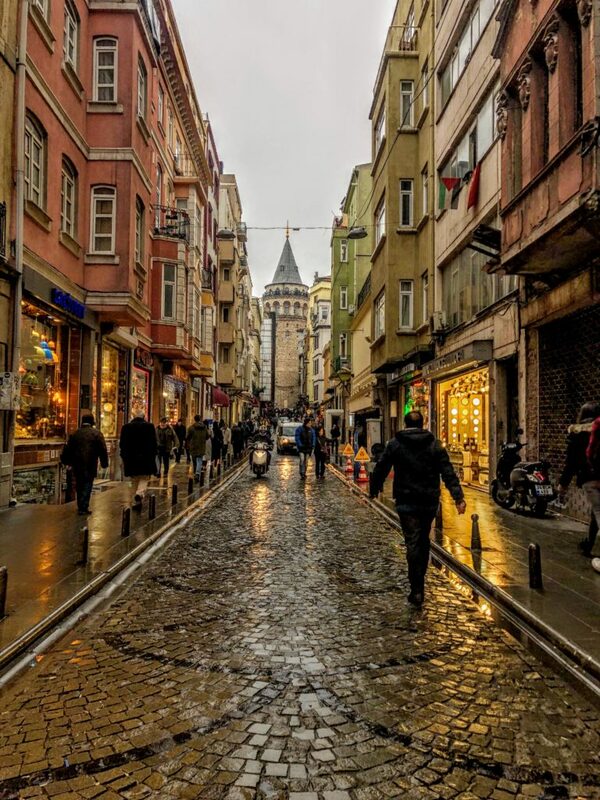 Galata is also located within Beyoğlu, so combine this neighborhood with Taksim when you visit. If you keep following Istiklal Street away from Taksim Square, it will turn to cobblestones and start winding downhill. Congrats, you’re in the Galata neighborhood! Galata is much more artsy and hip than Taksim and more photogenic as well. It’s the best place to buy souvenirs not because of the prices, but because of all the unique, pretty, things here that you just won’t find anywhere else. I also recommend climbing the Galata Tower for a bird’s eye view of the city and satisfying your sweet tooth with the phenomenal desserts at Sirin Firin Bakery. 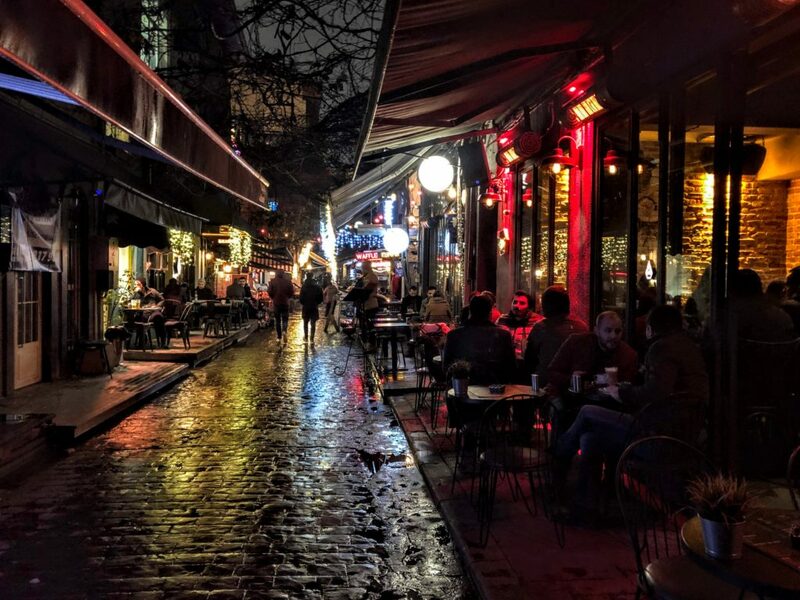 Keep walking downhill through the Galata neighborhood and you will find yourself in Karaköy. 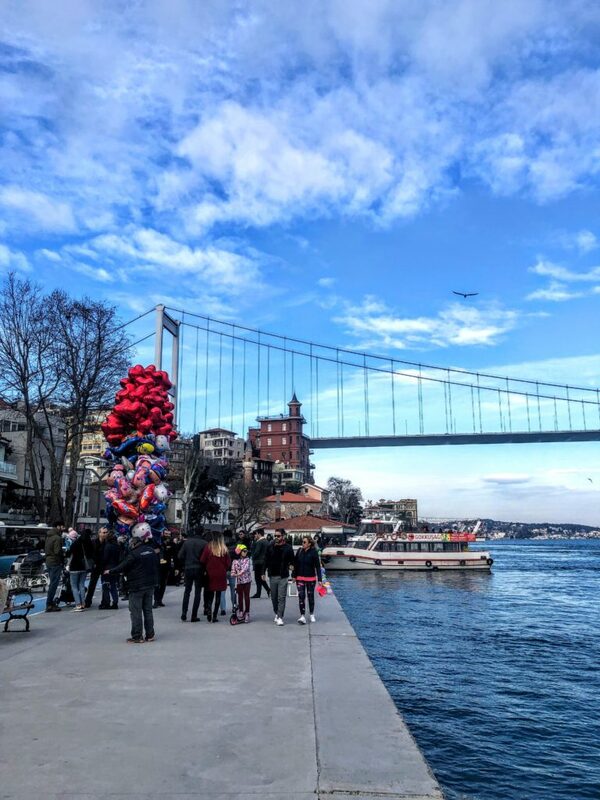 This up-and-coming neighborhood branches out to the left of the Galata Bridge and is known for its hipster vibe and nightlife. The best time to come is after dark for a drink at the lively bars. Personally, I like smoking the shisha at Insta and grabbing a 15 lira / 3 usd fish wrap at Balık Dürüm, a tiny shop with limited seating. Karakoy Gulluoglu also has some of the most famous baklava in Istanbul (the chocolate is a personal fav), so make sure you stop in to grab some before heading home for the night! 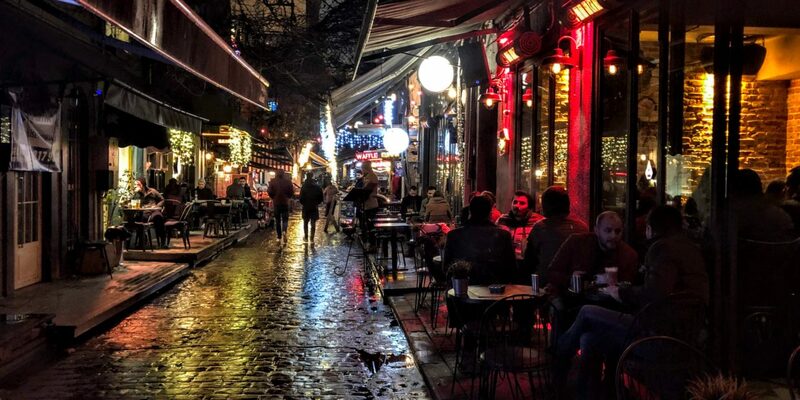 My tip: Karaköy in Beyoğlu as well, so you can easily combine it with Taksim and Galata to visit all three in one evening. Beşiktaş is one of my favorite neighborhoods to visit in Istanbul. It’s a bit upscale but still affordable. 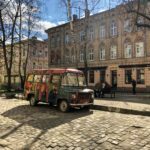 The pretty streets are lined with restaurants and cafes and its the kind of place where you’ll find craft beer and trivia and board game bars. 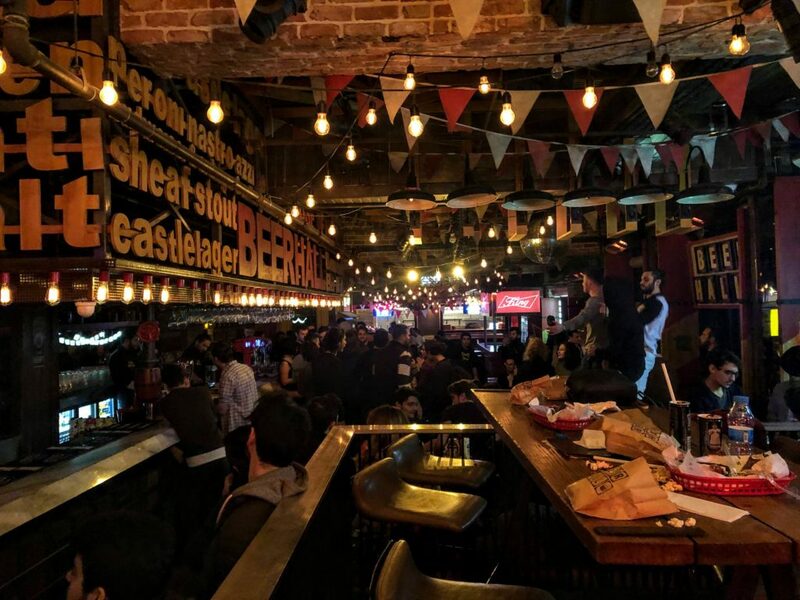 Though the craft beer scene isn’t quite established yet in Istanbul, you can find one or two Turkish brews at the rowdy BeerHall or in a more relaxed setting at the year-round beer garden in Craft Beer Lab. This waterfront neighborhood is best seen in the sun. There’s not a ton to actually do here but eat, drink, and walk along the water. It’s really pleasant though and has beautiful views of the Bosporus and the bridge that crosses it. I also ate a phenomenal breakfast at a restaurant that Anthony Bourdain visited on No Reservations. Simply sit down at Rumeli Kale Cafe and Restaurant – Merkez and they’ll bring you everything you need. There’s also a massive fortress you can visit for 15 lira / 3 usd but… really, the food and views are highlights here. Daniel and I walked the 3.6 miles from Bebek to Ortaköy because it’s mostly along the water. 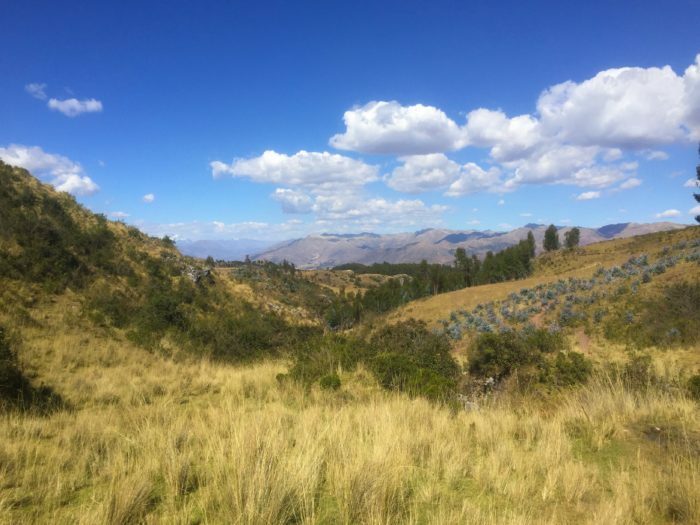 Combining the two neighborhoods into one Sunday day trip is pleasant if you don’t mind getting some exercise. Ortaköy is super lively and has a whole street dedicated to selling kumpir – massive baked potatoes with every topping you can imagine. Grab one, browse the market stalls on the crowded streets, and then stop in to see the pretty Ortaköy Mosque before continuing on your way. Kadıköy is on the Asian side of the city and definitely worth visiting for a few hours. First of all, the ferry ride is gorgeous, especially if you take it at sunset. Even better, the ferry is part of the metro system so only costs 3 lira / .50 usd! Once you arrive in Kadıköy you’ll see a much less touristy (but still super crowded) side of Istanbul. Walk up from the pier to the Moda neighborhood and eat dinner at Ciya Sofrasi. The restaurant was featured on Chef’s Table and the traditional Turkish food absolutely lives up to the hype. Sultanahmet is the most popular neighborhood to visit in Istanbul. 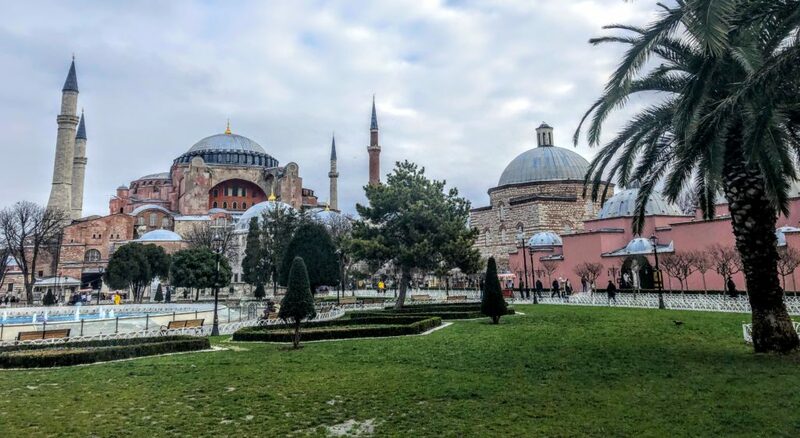 It’s the center of tourism with the Hagia Sofia, Blue Mosque, Grand Bazaar, Basilica Cisterns, Topkapi Palace and all the other must-see historical sites of the city. Plan to spend about two days here because there is a lot to do. 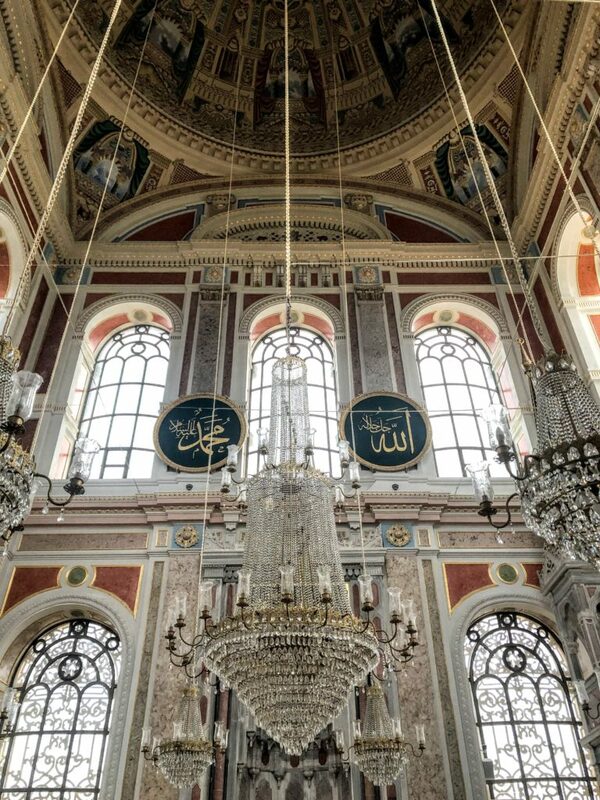 Last but not least on my list of neighborhoods to visit in Istanbul is Eminönü. It’s near Sultanahmet so you can walk here (if you still have the energy). In Eminönü the major sites are definitely the Süleymaniye Mosque and the Spice Bazaar. 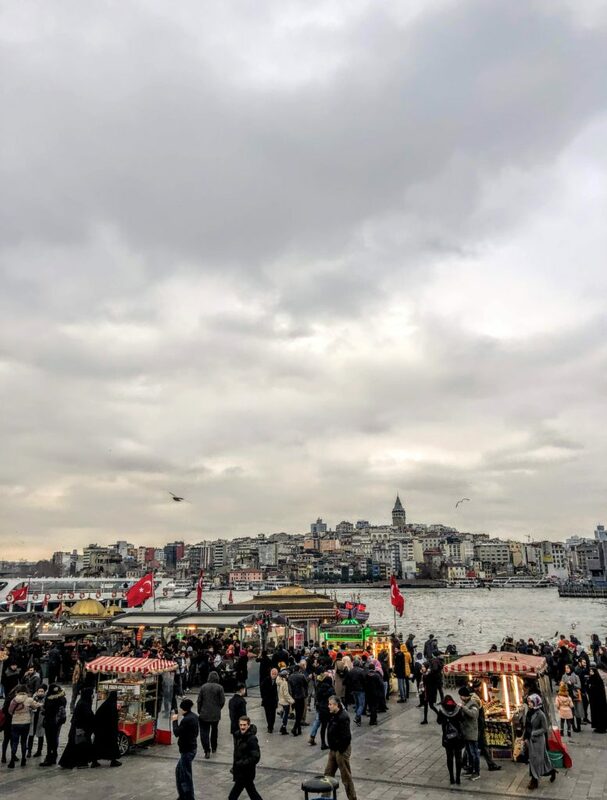 Afterward, walk down to the Galata Bridge for pretty views across the water and famous fish sandwiches that you can buy directly from the boats – just follow the crowds and they’ll lead you to the right place. There are so many unique neighborhoods to visit in Istanbul! 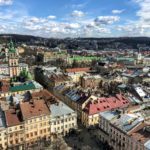 This article covers some of my favorites, but the city has plenty of amazing spots to uncover. Use this list to get started and discover all that Istanbul has to offer during your stay. Ready to explore Istanbul? Click here to book your stay in the city! 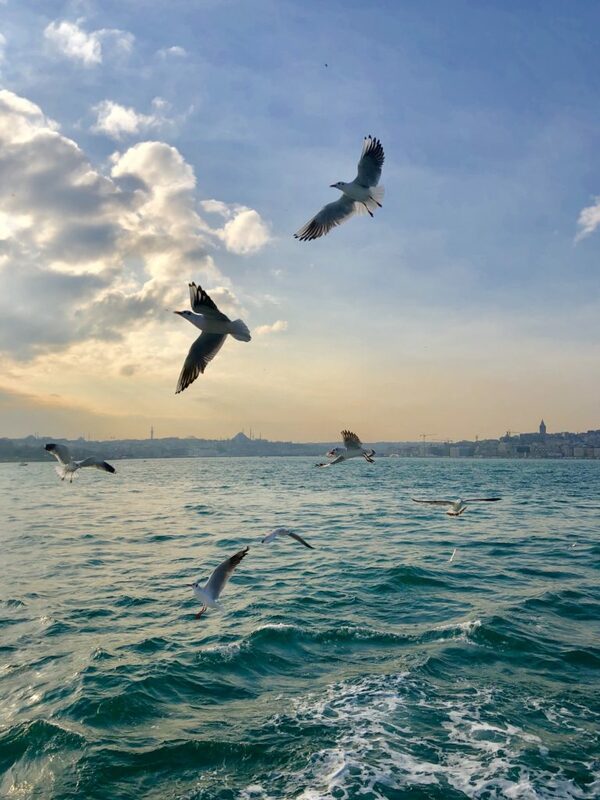 Plan the rest of your trip with the Turkey Series to learn how to take a day trip to the Prince Islands, discover 13 things to do at night in Istanbul, the 27 best Instagram spots around the city and so much more! 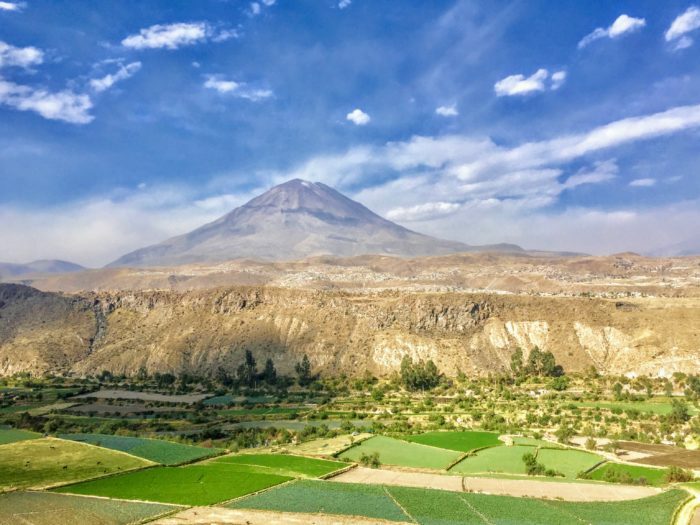 Colombia vs. Peru: Which Should You Visit?